Phoebe Snow, 'Poetry Man' Singer, Has Died : The Record Snow, who died Tuesday, had a distinctive voice and an unconventional pop-star persona. 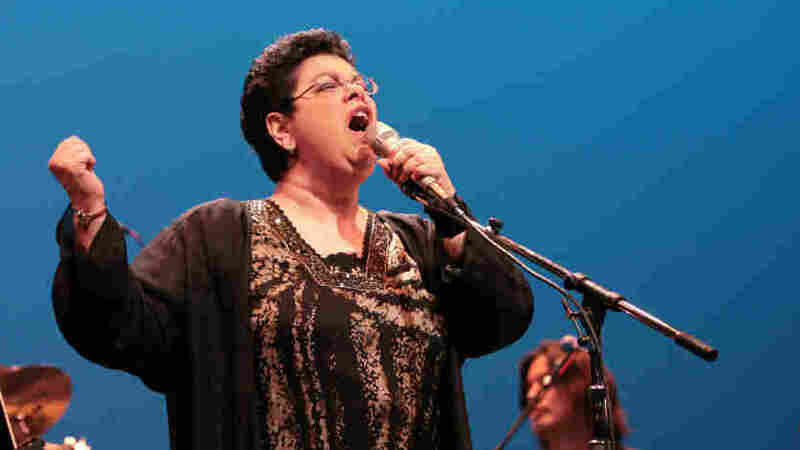 Phoebe Snow had one of the most distinctive voices in pop music. It went silent Tuesday morning, more than a year after Snow suffered a brain hemorrhage. She was 60. Snow was born Phoebe Ann Laub. She actually thought she'd never be a singer because she was so shy. She told NPR in 1998 that she'd made up a name for the hammy part of herself — the part unafraid to get up on stage in Greenwich Village coffeehouses. Snow was 22 when "Poetry Man" reached the Top 10 in 1975. The song sounded like nothing else on the radio. It was refreshing and unusual to see someone embraced on the strength of her voice and songwriting alone, and not her looks. She was not the prefab concoction we've come to know as a pop princess, yet Snow soon graced the cover of Rolling Stone. On the cover, she was baby-faced and big, with a crop of curls. Some people couldn't tell if she was black or white. Her parents were Jewish music lovers who made sure she could play piano and guitar. But Snow's four-octave voice could handle anything. She recorded 16 albums. Jim Chapdelaine produced one of her last, Natural Wonder. "She could be that sensitive 'Poetry Man' kind of singer or she could be this rip-roaring flame thrower of a voice," he says. "There was never anything emotionally inauthentic about what she was doing." Soon after her first flush of success, Snow had a daughter, named Valerie, born with multiple disabilities. Doctors predicted Valerie would barely survive a few years. Then, Snow's husband left her. Her child became her priority. She moved back to New Jersey, where she had grown up. Career took a back seat to parenting and care-giving, yet Snow continued to perform and record. Her final album, a concert recording, came out in 2008. Her daughter died the year before, at the age of 31.